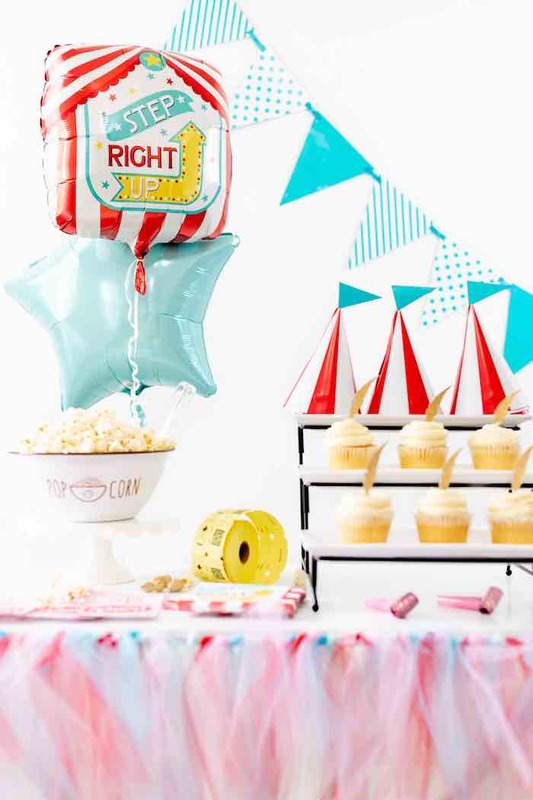 Grab a feather and fly free, this DIY Dumbo-inspired Circus Party is as cute as can be! 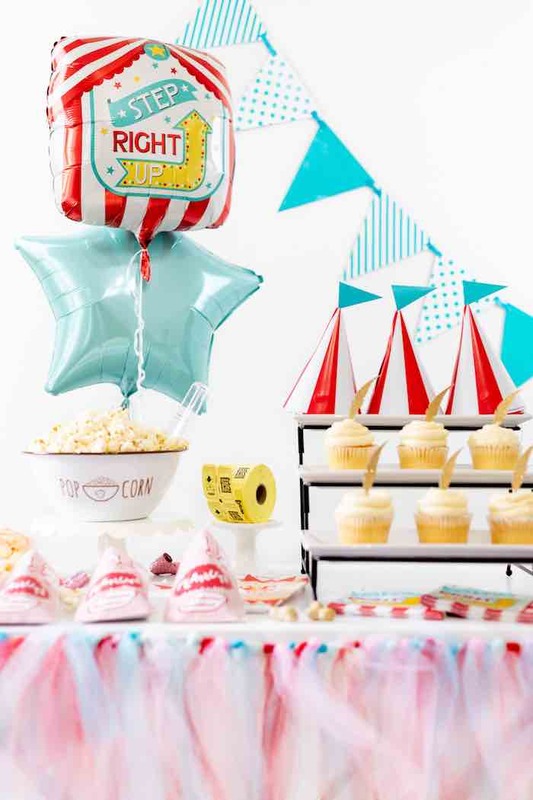 Soaring at ya out of Ocala, Florida, USA by Dawn Lopez of Cutefetti; this darling table is packed with ideas and elements anyone can pull off! 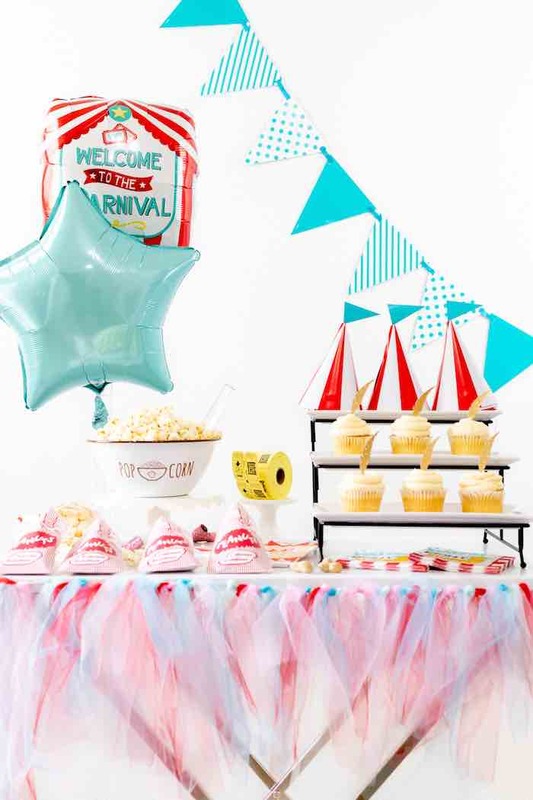 “To celebrate the new Dumbo movie coming out, I decided to create a carnival-themed party. 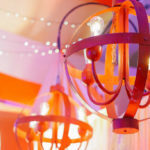 My goal was to keep it simple and affordable for anyone who wants to recreate the party. 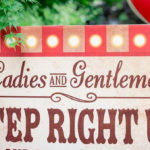 DIY Tulle Carnival Table Skirt – Since I couldn’t find a table skirt that matched my vision, I created my own. 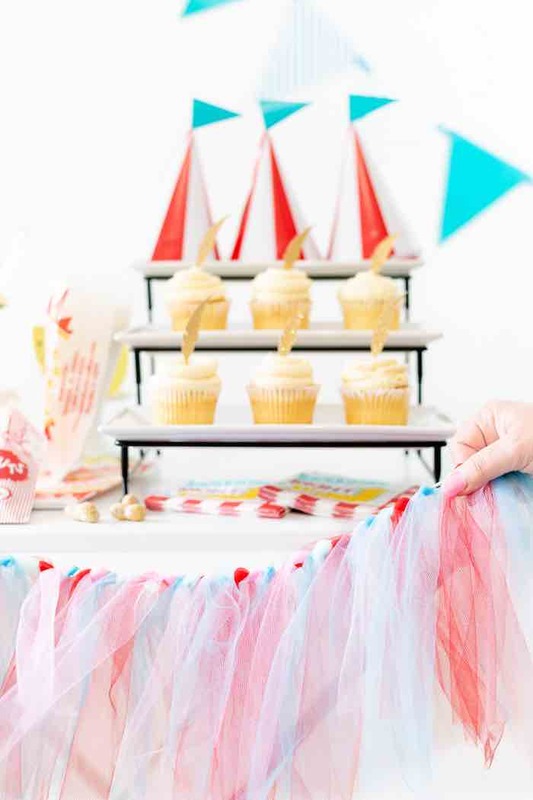 Using pieces of tulle and a thick string, I created a table skirt that gives off major carnival vibes. 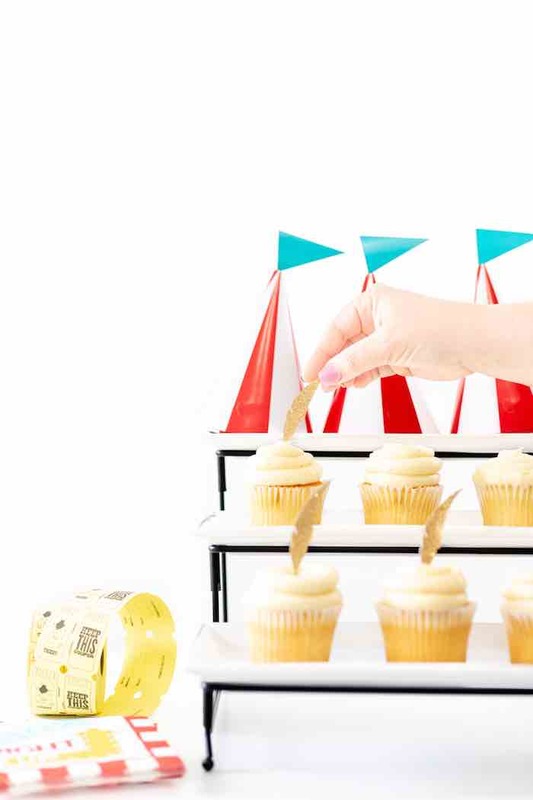 Dumbo-inspired Cupcakes with a Feather Topper – It’s all about the topper for these Dumbo cupcakes. 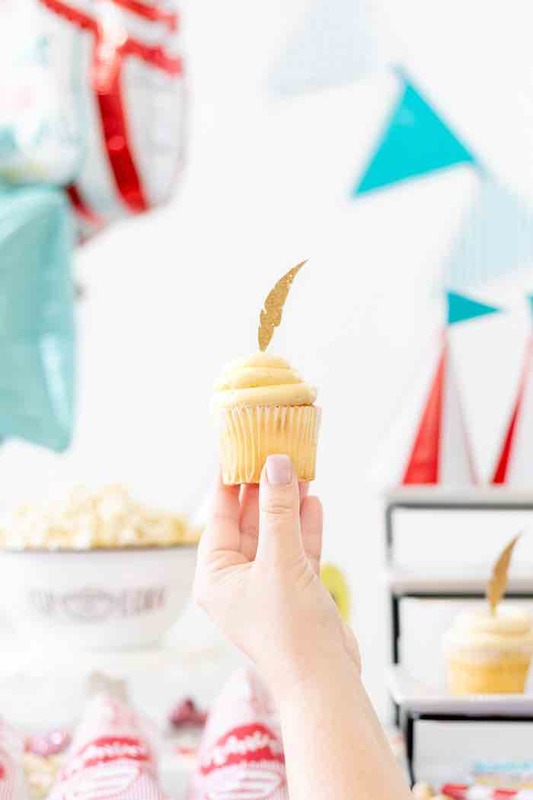 Purchase cupcakes or make a batch of vanilla and top with a gold feather. 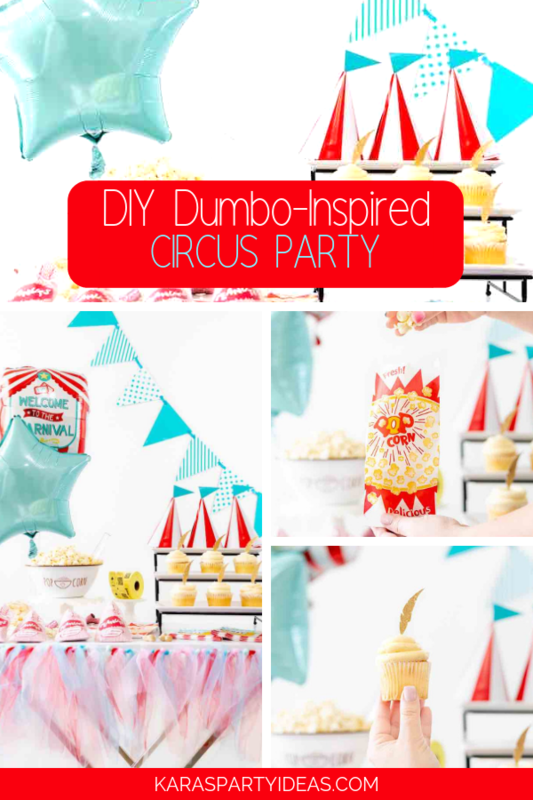 So easy while nailing the Dumbo theme in a simplistic way. 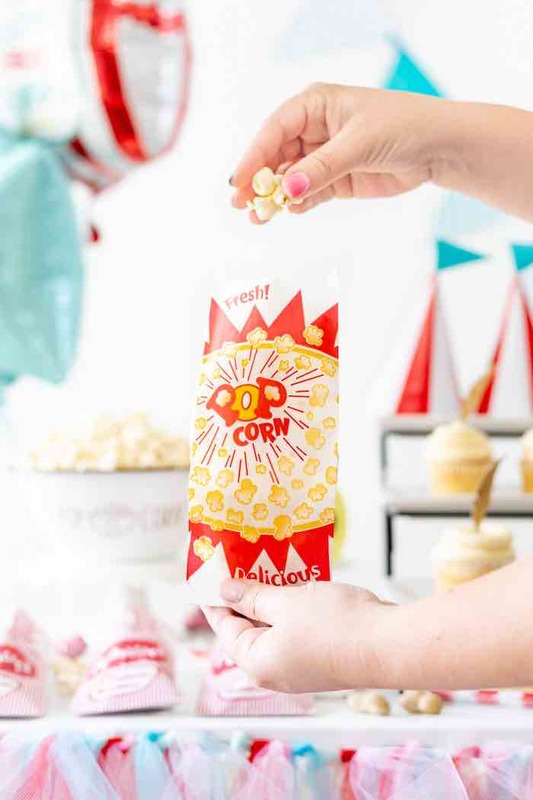 Easy Carnival Food – Choose snacks like popcorn and peanuts, but present them in serving bags to really enhance the theme. 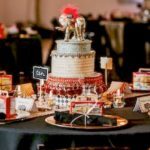 Look at the elephant on the bag – so cute! 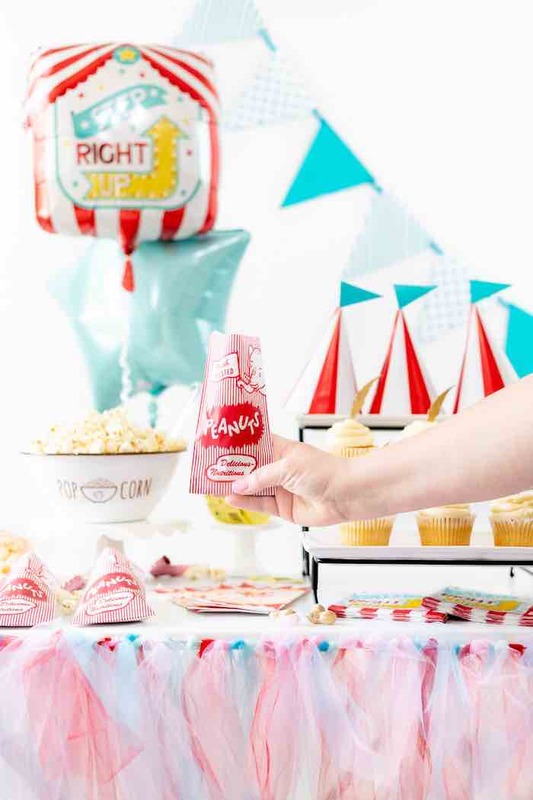 So excited to have my Dumbo party featured today! 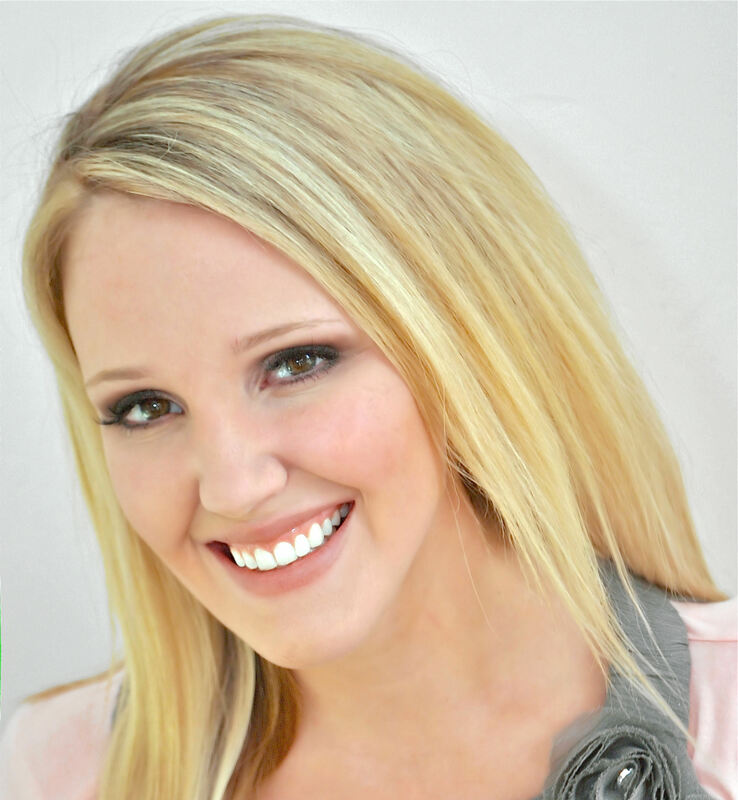 I’ve always loved your blog so much, so this is a total fangirl moment for me. 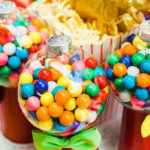 Thanks bunches!!! I’m so excited for this movie!